Can I move a form to a difference account? I designed a form for somebody within my account. I'd like to move it over to their account to give them full control of the form. Is this possible? There is no need to move the form. 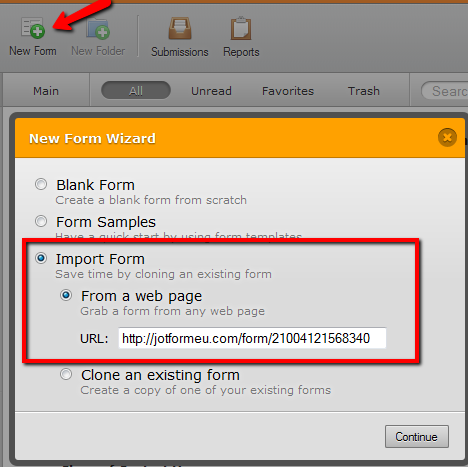 They can actually clone the form from their account (assuming they have their own Jotform account). You simply need to provide them the Form URL.